Goldilocks & Her Doodle: A Dollop of Humor! 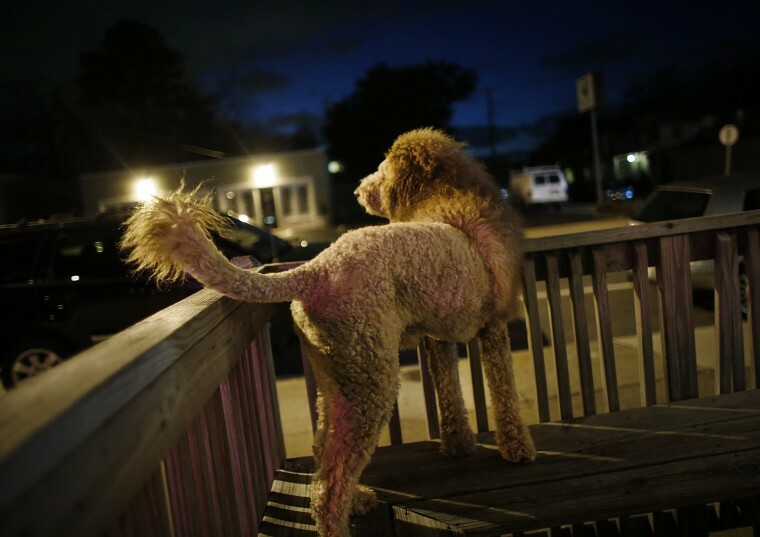 "Norfolk 911 Calls for 'Baby Lion' Turn Up a Coiffed Dog"
I am always a little behind on the news, but if you have not heard about this yet, do read! I just trimmed a lot of Milt's hair around his eyes last night (he is like an overgrown bush! ), and perhaps we should be considering a different haircut instead! I say go for it! I'm diggin' the middle picture, best!